It’s time to meet the international riders who have taken the World Superbike Championship by storm sine 1989… Let’s meet them! Like fellow countryman Merkel, Doug Polen had been a leading light in the AMA Superbike Championship before joining the World Championship on a full time basis in 1991. By then, he’d joined the Fast by Ferracci Ducati team and he simply dominated the series in both 1991 and 1992 setting a then record number of race wins, pole positions and fastest laps. Indeed, he won 17 of the 24 races he started in 1991 to win the title by a mammoth 150 points before taking 9 more wins in ‘92. 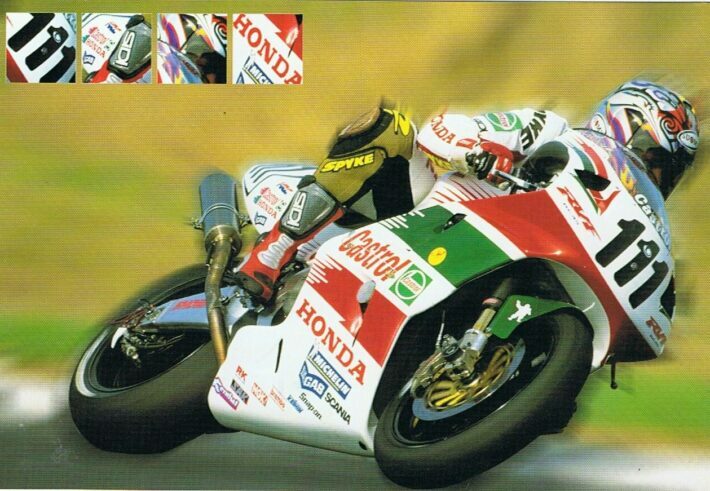 A switch to the all-new Honda RC45 in 1994 didn’t pay dividends and he eventually switched to the World Endurance Championship, winning the title in 1997. His record 17 wins in a season in 1991 was equalled in 2018 by Jonathan Rea. 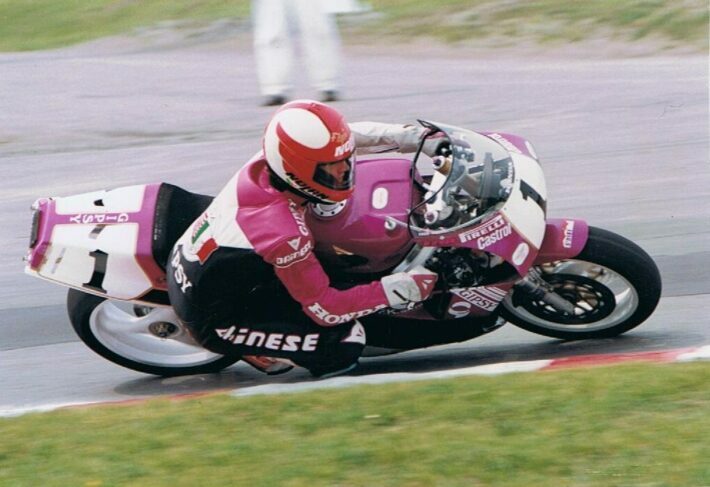 The first ever World Superbike Champion in 1988, much was expected of Merkel that year with the American ace having been a dominant force in his home country where, essentially, Superbike racing was born. But Merkel arrived in Europe as a privateer, not as a factory Honda rider that he’d been for many years, and not only did he win the crown in 1988, after a year-long battle with Fabrizio Pirovano and the Bimotas of Davide Tardozzi and Stephane Mertens, he repeated the feat in 1989 again on the formidable RC30 Honda. He continued in WSB until 1994 when he returned to America and he retired from racing at the end of the 1995 season after being injured in an accident at Firebird International Raceway. A mainstay of the World Superbike Championship during the 1990s, Slight rode for Kawasaki and Honda during an illustrious career and whilst he only won 13 races during a 12-year period, he took no less than 87 podiums (the fifth highest of all time) during this time and was always in contention for the title. Along with Corser and Pierfrancesco Chili, the New Zealander was regularly the closest challenger to Carl Fogarty and he remained faithful to the four cylinder machines, almost revelling in the battles against the twin cylinder Ducatis. A serious head injury resulted in brain surgery at the beginning of the 2000 season and although he made a full recovery and returned to racing, he retired soon after. The greatest name in the history of the World Superbike Championship, Carl Fogarty remains the most successful in the sport’s history despite having retired back in 2000. Having excelled at the TT and taken three World Formula One Championships, he soon made the switch to Superbikes with his defining moment coming in 1992 when he took victory as a privateer at Donington Park. That paved the way for an illustrious spell as a factory Ducati rider which spanned 1993 until 2000, the exception being 1996 when he attempted to tame the Honda RC45. He won races on the Honda but it was his partnership with Ducati that created the legend and his eventual career record read 4 World Championships, 59 race wins and 109 podiums. He returned to the series from 2003-2005 with his own Foggy Petronas team and it wasn’t until 2018 that his record tally of wins was bettered by Jonathan Rea. 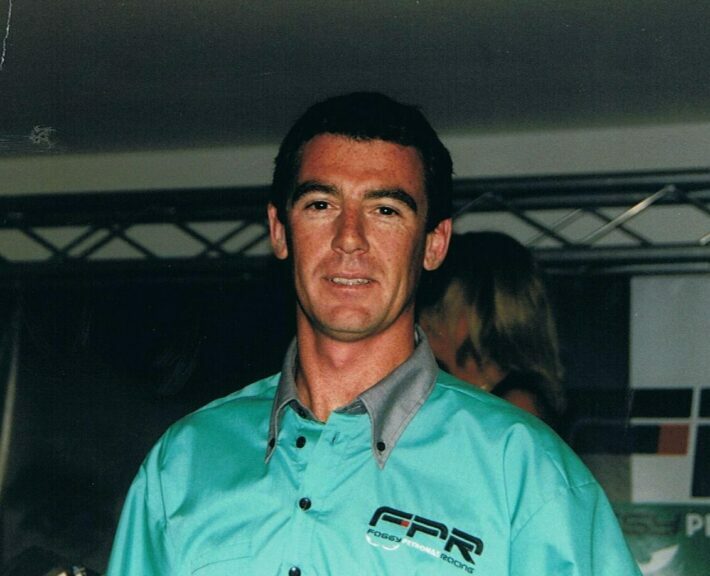 Australia’s Troy Corser had one of the longest careers of any World Superbike rider and, having made his debut in the series in 1992, he was still going strong in 2011. During that time he won two World Championships and rode factory machines for Ducati, Aprilia, Foggy Petronas, Suzuki, Yamaha and BMW. His record of 33 wins is the sixth highest of all time but his longevity in the series means his total of 130 podiums (from 377 race starts) was the most recorded by anyone until Jonathan Rea claimed that record as well in 2018. Corser’s total is 14 more than third placed Noriyuki Haga and although he briefly dabbled with 500s in 1997, it was an unhappy time and he soon returned to his spiritual home of WSB. His World Championships came in 1996 (Ducati) and 2005 (Suzuki) whilst he finished in the top three overall on no less than seven occasions. Italy’s Chili arrived in WSB in 1995 after a ten-year career in Grand Prix racing, his best year coming in 1992 when he took third overall in the 250cc class. He was, at the time, the highest profile rider to make the switch from GPs to World Superbikes, initially with a privateer Ducati team, and he soon established himself as a force to be reckoned. He enjoyed a highly successful twelve year spell in the series, with his best rides coming for the factory Ducati and then Suzuki teams whilst his best years were 1998 and 2000 when he took fourth overall. In total, he scored 17 wins and 61 podiums whilst his Italian flamboyancy ensured he was always popular with the fans. Along with Corser, Noriyuki Haga had one of the longest careers in World Superbikes but the one thing that ultimately eluded him was the number one plate. The Japanese rider took 43 wins (the third highest of all time) and 116 podiums (second highest) in a career that spanned from 1994 until 2013. He too rode for a number of manufacturers including Yamaha, Ducati, Aprilia and BMW but its Yamaha that he’s synonymous with. His best years came in 2000, 2007 and 2009 when he placed second overall coming closest to the title in 2000 and, like Corser, he finished in the top three overall on seven occasions. He also had a couple of seasons in the 500cc/Moto GP Championship but its WB that he’ll always be remembered for. Having established himself in the American Superbike Championship, Edwards made the move to the world stage in 1995 and came with a considerable reputation. However, it took a while for him to really assert himself in the WSB Championship and, after three years with Yamaha, it was only when he switched to Honda and the RC45 in 1998 that he won his first races. He went on to take the World Championship in 2000 and 2002 on the twin cylinder SP-1 Honda with the latter in particular being impressive as he went toe-to-toe with Troy Bayliss all year, overturning a 50-point deficit to take the title at the final round. His points haul that season of 552 remains the highest of all time and his career WSB tally reads 31 wins and 75 podiums. From 2003 until retirement in 2014, he was a mainstay of the MotoGP World Championship, scoring 12 podiums. 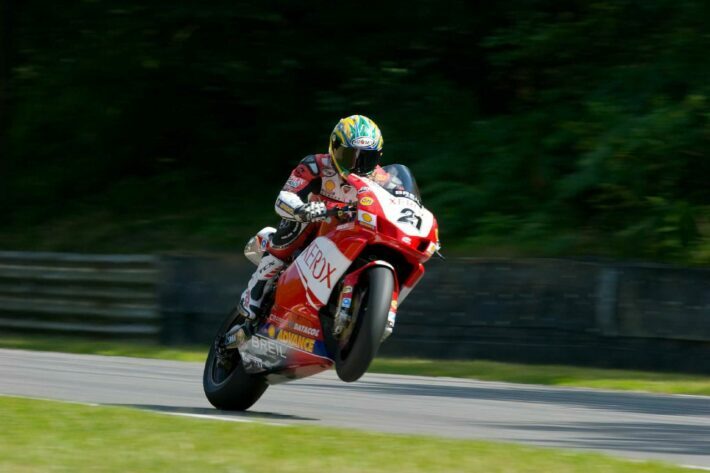 Australian Bayliss ultimately made his name in the UK when he won the 1999 British Superbike Championship and that led to him continuing with Ducati albeit in the American Superbike series. 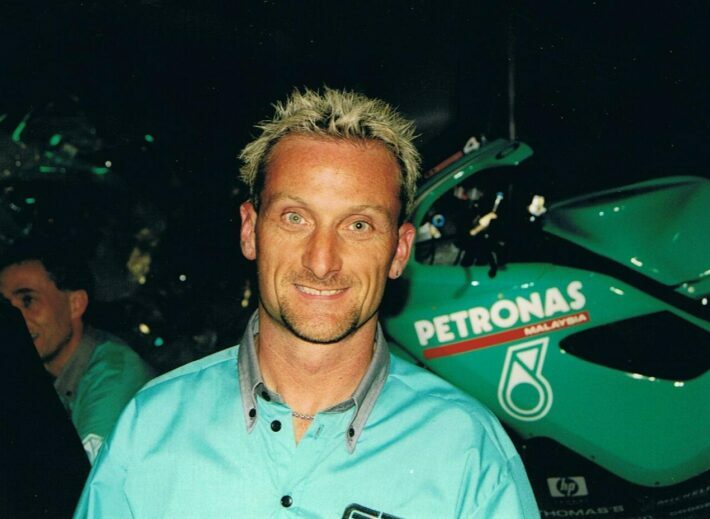 However, when Carl Fogarty got injured at the beginning of 2000, Bayliss got the call to replace him and he went on to take three World Championships between 2000 and 2008. His record of 52 wins remains the second highest of all time and he could well have beaten Fogarty’s total of 59 had he not retired at the end of 2008 when still very much at the top his game. His three World Championships came on three different generations of the Ducati machine – 998, 999 and 1098 – whilst he also had three seasons in MotoGP taking one win and five podiums. Jonathan Rea established himself as one of the UK’s brightest talents in the 2000s and he immediately transferred that form onto the world stage with a successful year in World Supersport in 2008 immediately being followed by a move up to World Superbikes. From 2009 until 2014 he remained loyal to Honda winning numerous races and taking countless podiums but, ultimately, the bike was slightly lacking behind its rivals and it was clear a move to a different manufacturer would pay dividends. That’s exactly what happened in 2015 when he switched to Kawasaki and he hasn’t looked back, dominating the Championship that year to become Northern Ireland’s fourth World Champions. He then retained his title in 2016 and again in 2017, becoming the first man in the history of WSB to win the title three years in a row. He went better still in 2018 as he took his fourth title in a row and confirmed his status as the most successful rider in the history of the championship with 17 wins seeing him move ahead of Fogarty in the all-time winner’s list, 71 to 59. He also overhauled Corser at the top of the record number of podiums, his current total of 134 four clear of the Australian.